Hi tech with a nod to the past. 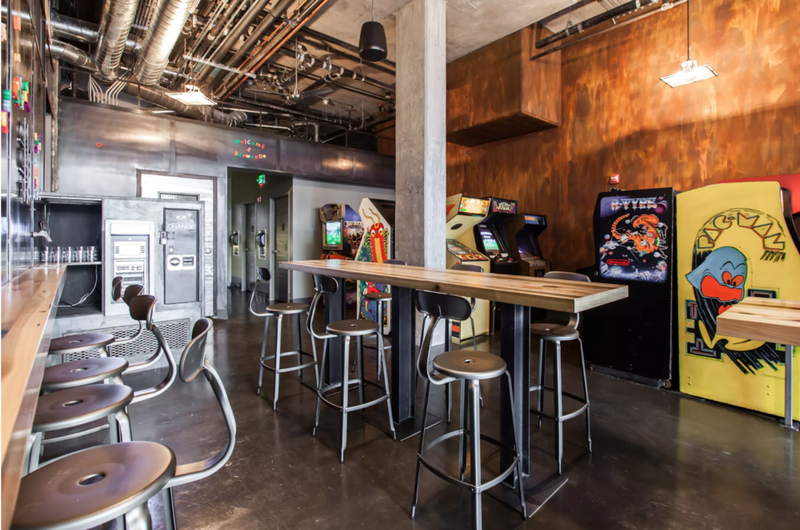 Handcrafted beers and Arcade games, Brewcade is the new playground. 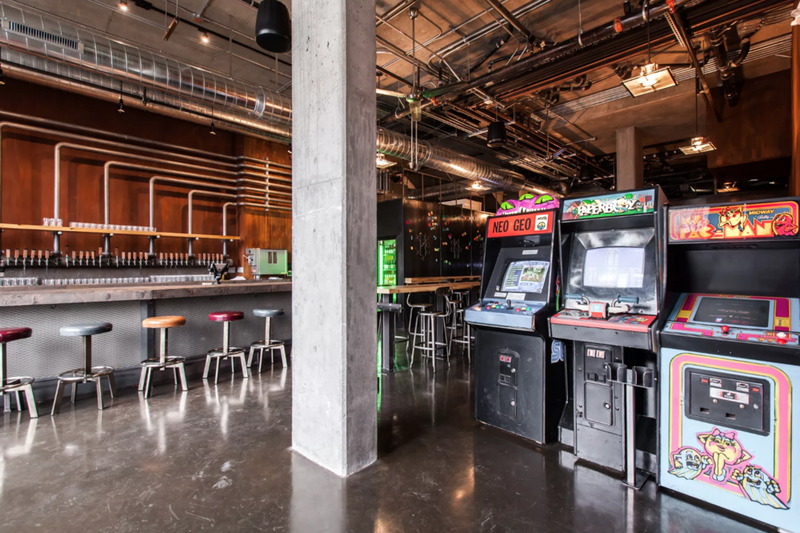 Video games and beers in an industrial urban atmosphere, kind of like that city place your parents thought would ruin your life, but was actually the reason you became who you are today. 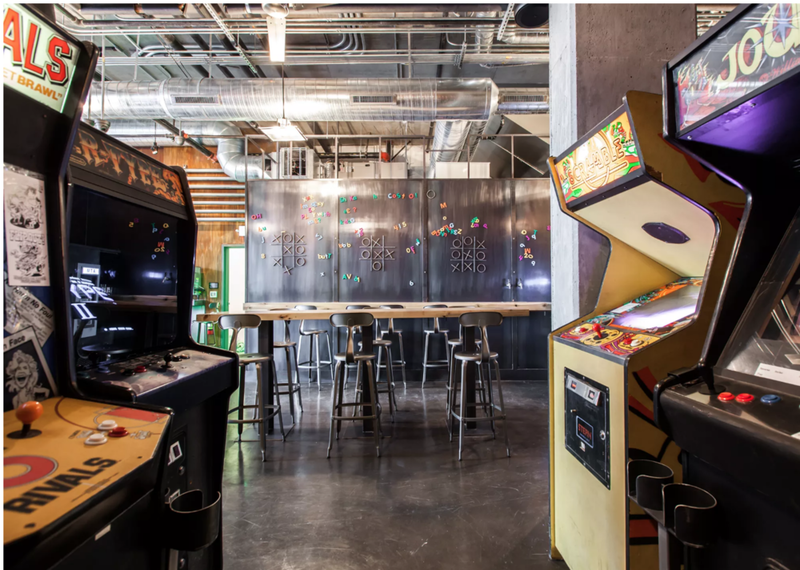 Brewcade has a distinct personality, vintage industrial furnishings and video screens set the tone. make sure you are still the top scorer. There's something about being an adult and playing video games that's even better than when you did it as a kid. Let’s play at Brewcade. CWD designed Brewcade’s sister bar Blackbird.